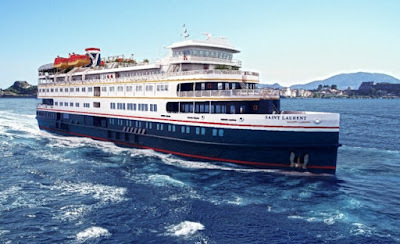 VC2 Capital, a merchant bank and financial advisory firm focused on small and middle market companies worldwide, has acquired Haimark Ltd, Haimark Line, Ltd., Haimark S.A., Ltd. and Haimark Affinity Travel, Ltd.
Based in Denver, Colorado, the Haimark Companies offer luxury, small ship river and ocean cruises for experienced travelers with an interest in geography, culture and history, featuring onboard cultural enrichment and included shore excursions. Since its inception in 2012, the company has grown to a fleet of 9 river and ocean vessels (in 2016) offering scenic cruising along the rivers of India, Southeast Asia and Peru and its seasonal Cuba and Great Lakes sailings. In addition to investing internally in expanding the Company's operations, Haimark management will be actively looking for new acquisitions in the luxury travel sector.